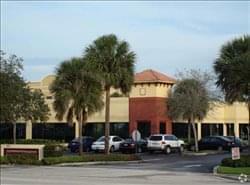 Find My Workspace lists over 95% of the executive office suites market in Boynton Beach. Simply click Request Quote to check pricing for one office, or Add to Basket for multiple offices. These full service executive suites center offers a prime location, beautifully appointed accommodations, and superior service. It features 70 offices of varying sizes, four conference/boardrooms, business lounge and kitchen area and free parking. There is a luxurious reception area manned by personable and accomplished professionals, providing you the desired professional image to your clients and colleagues along with critical administrative support. Customizable office packages, virtual and day offices and same day move in are all available. It is also under new management with a highly experienced on-site general manager.